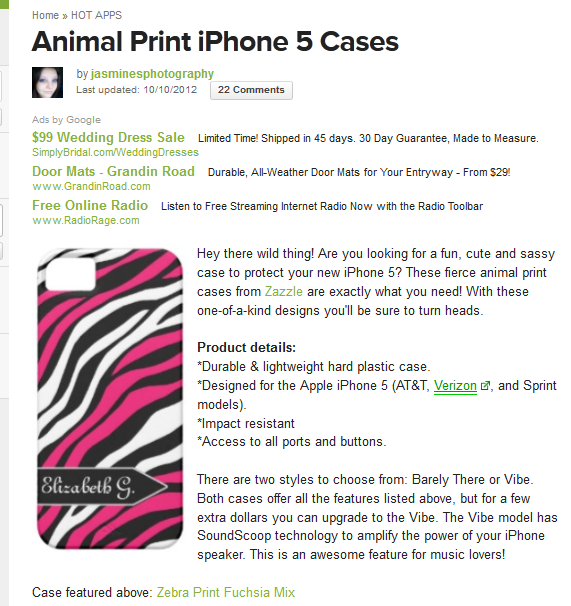 In case you haven't heard, Zazzle has some pretty awesome iPhone 5 cases. I'm really into these animal print ones right now. Here's a sneak preview of what you can find on the lens. Hi there! :) I agree, so much cute!